The mission of the NVJCYO, through its member parishes, is to organize sports programs for parish youth from 3rd through 8th grades throughout the Catholic Diocese of Arlington, to reinforce Catholic values taught in parish schools and religious education programs. It is an important component of the comprehensive approach to youth ministry in the Diocese. The programs administered by NVJCYO are meant not only to encourage healthy physical activity but also to play a significant role in the development of Catholic values in the youth of the Diocese and these activities should foster cooperation, respect, sportsmanship, responsibility, leadership, competitiveness, fairness, and courtesy. ALL CYO Activities follow Fairfax County Public School for weather cancellations–if FCPS closes due to weather, there will be NO CYO Activities including practices. 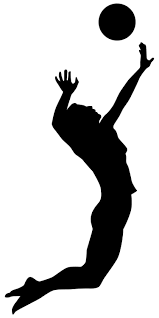 Volleyball registration is now open for 6th, 7th, and 8th grade girls. To register, please log on to Sports Pilot at the following link : https://reg.sportspilot.com/106552/leagues. Registration is $65 per player and registration will close on Wednesday, March 20. The games begin on April 1 and run through May 22. Practices will be held at St. Mark on Monday and Thursday from 4:30-5:30 pm. If you have questions, please contact Nancy Weaver in the Youth Ministry office at 703-938-5656. 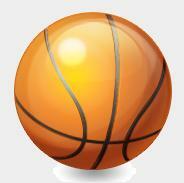 CYO Basketball is a program dedicated to the youth in our parish, grades 3-8 (girls’ and boys’ teams). Students who are enrolled in either St. Mark School or the Religious Education program at St. Mark are eligible to participate. This program requires adults to serve as the head coaches and/or assistants. Previous basketball coaching or player experience is desired but not mandatory. Practices are one or two times per week, with one game per weekend (played in gyms throughout the diocese). Practices start in late October, games start early December, and the season concludes in early March. CYO Tennis is open to students in grades 6-8 (girls’ and boys’ teams). Students must be enrolled at St. Mark School or the St. Mark Religious Education program to be eligible to participate. This program requires adult volunteers to serve as trainers, head coaches, and assistants. Previous tennis coaching or player experience is helpful but certainly not necessary. Practices are held on Wednesdays from 4:30-6:00 PM at Vienna Woods in Vienna, with one match per weekend on Sunday afternoons (meets are held at various locations within the diocese). There are Skill Assessments on August 29 and September 5, with normal practices starting the following Wednesday on September 12. 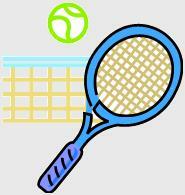 Practices start in early September, matches start late September, and the season concludes in late October. CYO Cross Country is open to students in grades 3-8. Students must be enrolled at St. Mark School or the St. Mark Religious Education program to be eligible to participate. CYO Cross Country is a program dedicated to the youth in our parish. There is a Championship meet on Saturday, November 3, with other developmental meets taking place on Saturday, September 22 and Saturday, October 20. Parents who are compliant with diocesan child protection norms are welcome AND NEEDED to participate as assistant coaches.